For security reasons some context require you to setup a user account locking policy. Thus an unauthorized user is not able (anymore) to login to the MySQL server. 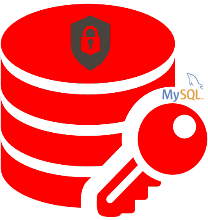 In this 3rd article of the MySQL Security series, we will see how to [un]lock a user account. When used with CREATE USER, these clauses specify the initial locking state for a new account. In the absence of either clause, the account is created in an unlocked state. When used with ALTER USER, these clauses specify the new locking state for an existing account. In the absence of either clause, the account locking state remains unchanged. Indeed accounts are unlock by default. What if your security policy requires you to lock this account? -- User try to connect $ mysql -u batchman -p ERROR 3118 (HY000): Access denied for user 'batchman'@'localhost'. Account is locked. ERROR 3118 (HY000): Access denied for user 'batchman'@'localhost'. Account is locked. If the user is still connected you’ll need to kill the connection. MySQL returns an ER_ACCOUNT_HAS_BEEN_LOCKED error. -- Back to the administrator session mysql> SHOW GLOBAL STATUS LIKE 'Locked_connects'; +-----------------+-------+ | Variable_name | Value | +-----------------+-------+ | Locked_connects | 1 | +-----------------+-------+ -- In the error log mysql> system tail -n1 /var/log/mysqld.log 2018-02-01T15:30:35.649393Z 65 [Note] Access denied for user 'batchman'@'localhost'. Account is locked. 2018-02-01T15:30:35.649393Z 65 [Note] Access denied for user 'batchman'@'localhost'. Account is locked.